As we continue to travel down Lowell Road and revisit historical sites we come to the power house; used to convert electricity for use by the Nashua Street Railway Company. Electric car service on Lowell Road was discontinued by 1931. A short time after that 48 Lowell Road was repurposed into a private dwelling. This article was first published in August 2016. Since that time the dwelling house remains and the surrounding area re-configured for commercial usage, including a barber shop/salon. The trolley or electric street cars provided a cheap, pleasant, and relatively rapid form of public transportation in Hudson from 1895-1931. There was a trolley line from Nashua’s Tremont Square (corner of Main and Pearl Street) that proceeded east over the Taylor Falls Bridge thru Hudson via Central Street, Lowell Road, and on to Lakeview and Lowell, MA. The New Hampshire portion of this line was owned by the Nashua Street Railway, but operated under a lease by the Lowell and Suburban Street Railway Company (later known as Bay State Street Railway Company). The power to operate this line was provided by a Bay State owned substation on what is now River Road adjacent to Aeyers Pond. In 1918 the Bay State Company discontinued service and turned the line back to Nashua Street Railway Company. The Nashua Company chose to operate the line and picked up the previously discontinued service down Lowell Road to Stewerts Corner (junction of Lowell with Dracut and River Roads) making 2-3 trips a day to accommodate workers, students, and week-end picnickers. The needed electric service was no longer provided by the Bay State powerhouse; it was supplied by the Nashua Light, Heat, and Power Company and converted to DC type at 600 volts in Nashua and Hudson. In Hudson, a powerhouse was constructed for this purpose at what is now 48 Lowell Road. This building was of sturdy construction as evidenced by the large beams and crossbeams used in the basement to shore up the main floor of the building. The end of the electric cars occurred gradually as the auto became more and more affordable and popular. By 1924 they were operating at a loss and by 1931 they were discontinued in Hudson. Soon thereafter, the Powerhouse on Lowell Road was re-purposed into a private residence. For nearly 50 years, beginning in 1956, this was home to Vincent J. Zelonis and his wife Mary (Wisneski) and their large family. Vincent was a man of many interests and talents – a devoted gardner and accordian player. He worked in the culinary field at a number of resort hotels. He attended technical school and received his diploma in refrigeration and air conditioning. During WWII he served in the Army and maintained HVAC-R equipment at a base in Puerto Rico. 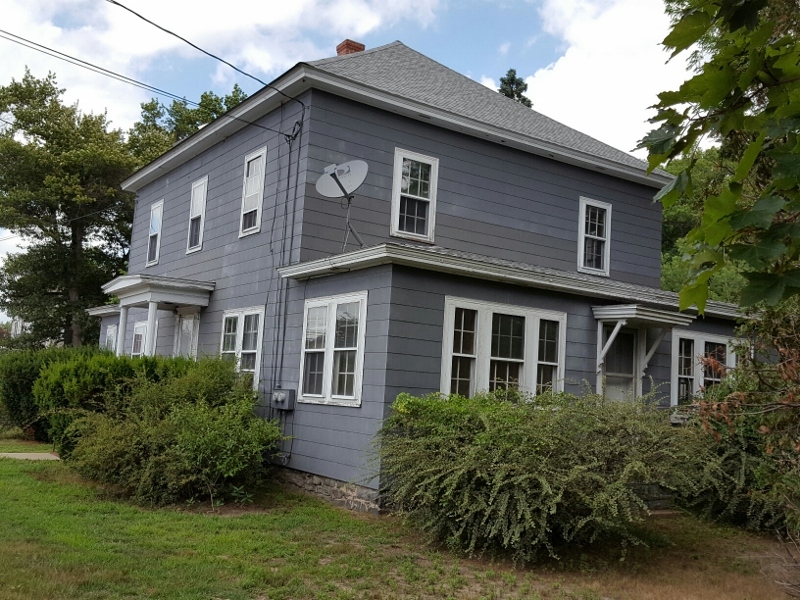 After the war he worked for J. Lawrence Hall Co. of Nashua and in 1953 started his own HVAC-R business, Hudson Service Company, where he worked with his sons William, Charles, and Daniel and his brother Richard. Vincent passed in 2005. Son Daniel and his wife Gayle and family continued to reside at 48 Lowell Road until a few years ago when the property was offered for sale. Daniel was a CPA and established his accounting and bookkeeping services here about 1979 until his retirement. Daniel and Gayle continue to live in Hudson and are active in various church and community organizations. Within the past 2 weeks this property has been sold. After almost 85 years as a private residence, nearly 60 of them with the same family, we are about to witness a new era for this property. Will it be used for residential or will it be re-purposed again? We share two photos of this property. 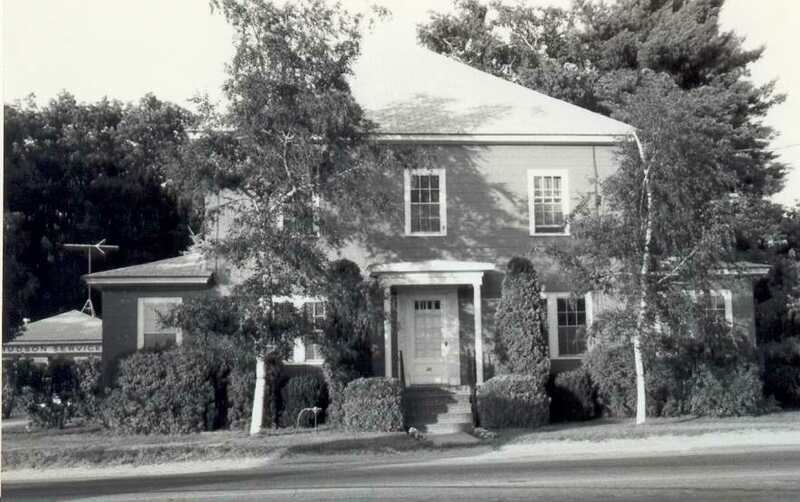 The first shows the house and business of Vincent Zelonis C 1983 as seen from Lowell Road. The second shows the house as seen from the south side, looking north about two weeks ago. Both photos are from the Historical Society Collection. By Ruth M Parker in Lowell Road on April 5, 2019 .